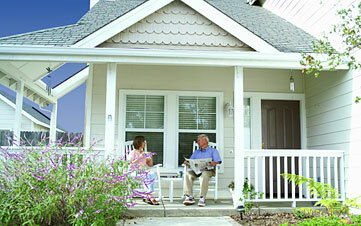 Having a mortgage can make good sense for many affluent retirees. It used to be the financial equivalent of a four-letter word, but no longer. While many Americans strive to pay their mortgage off by retirement time, a growing number of retirees appreciate how a mortgage can still make good dollars and sense. Why? It’s simple. With mortgage rates at record lows, you may pay 3% or less after-tax to borrow money using a fixed-rate, long-term loan. That’s a perk you get for maintaining a pristine credit record. A savvy investor can turn around and invest that money for substantially greater returns over that same 15-year or 30-year period (although not, of course, in every given year), and enjoy the security of still having access to his or her own assets. The risk is minimized when using a modest fixed-rate loan, assuming you’ve already built up substantial equity in your home, and have disciplined spending habits. You know the interest rate you’re paying, it’s amortized through monthly payments, and you have ample cash flow to cover the loan. Plus, many affluent retirees need tax deductions to offset pension, retirement, and Social Security income, and mortgage interest fits the bill perfectly. We’re not saying this technique is for everyone. For those who gravitate to CDs or other low-return, low-risk investments, this won’t make sense. Ditto if the peace of mind of having no mortgage payment trumps any amount of solid financial arguments in favor. And if you tend to overspend, over-consume, and under-save, you should absolutely cross it out. But for others, who approach investments with the rational mind-set of a company CFO, a mortgage can make good financial sense. Borrowing money at low rates is a powerful tool. Just like the CFO who borrows to invest in the company’s future growth, you borrow low and put your money to work in higher growth ventures. Like all financial tools, leverage can be helpful or harmful depending on the way it’s used, but when used responsibly, mortgage debt is a tool that deserves consideration, even by many retirees. Borrowing in retirement isn’t necessarily more difficult, as long as you’ve got your ducks in a row. The key to landing the mortgage is showing how your assets can translate into a dependable retirement income stream. “The first step for any retiree or person approaching retirement is a financial adviser,” says Brad Blackwell, executive vice president of Wells Fargo Home Mortgage. “An adviser can look at a retiree’s overall financial picture and advise whether to pay cash or borrow when buying a home. The adviser can also calculate retirement-account distributions that will help the borrower qualify for a loan,” he adds in a Wall Street Journal interview. ← Tiny Teacup-Sized Returns For 2015?